R. Morgan Salisbury | Esq. 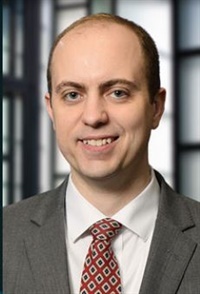 R. Morgan Salisbury is an associate in the Fort Wright, Kentucky office of Lewis Brisbois. He is licensed in both Indiana and Kentucky. His practice focuses on civil litigation with a special emphasis on defending business clients. Lawyers will learn about Bitcoin and other cryptocurrencies. Specifically, lawyers will learn to identify legal issues associated with Bitcoin and will learn how to assist clients using Bitcoin.